New India Engineering Works was established in the year 1989. 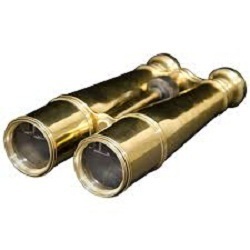 We are Manufacturer, Wholesaler, Exporter and Supplier of Brass Telescope, Magnetic Compass, Direction Compass, Brass Binoculars, Plastic Binoculars etc. We are also providing Valves Repairing Services, Oil Pump Repairing Services etc. We ensure to provide products, which are offered with "value for money" and this has enabled us attain excellence in the competitive industry. We are always ready to welcome clients feedback for our products as it offers us a deeper insight, thus enabling us to maximize our clients' satisfaction. Our ethical business policies, top notch quality offerings, & transparent dealings have enabled us to acquire a large & healthy customers base. Operating from a state-of-the-art equipped complex and with a highly trained and motivated workforce, we have incorporated latest technology and skills. Following our company's strategy of accomplishing the market by offering efficient and quality products and services, we strive to improve our working methodology by following continuous improvement policies and practices in our business operations. Our commitment to continuous improvement has helped us in rendering effective solutions through the innovative application of quality products and technology. We give prime importance to quality and are totally committed for achieving the same in our work procedures as well as in offered products. Supported by a proficient team of experts & a sound infrastructure, our firm is constantly moving towards its set targets. It is due to the unwavering commitment of our employees that we have cemented our position in the worldwide market.